Fan favorite Lisa Lockhart guides her horse Louie around a barrel at the 2016 National Finals Rodeo. This is Lisa's tenth qualification to the'super bowl' of rodeo. Lisa is also an ERA member. After its inaugural year, the Elite Rodeo Association is canceling its rodeos for the 2017 season. ERA interim president Bobby Mote told the Bend, Ore., newspaper The Bulletin that the association is "making a lot of plans and changes that will start in 2018." This year (2017) will be devoted to planning and preparation for that, he said. The ERA is based out of Texas. Shortly after the group's inception in the fall of 2015, the PRCA approved a bylaw stating that its members could not have financial interest in another rodeo association. 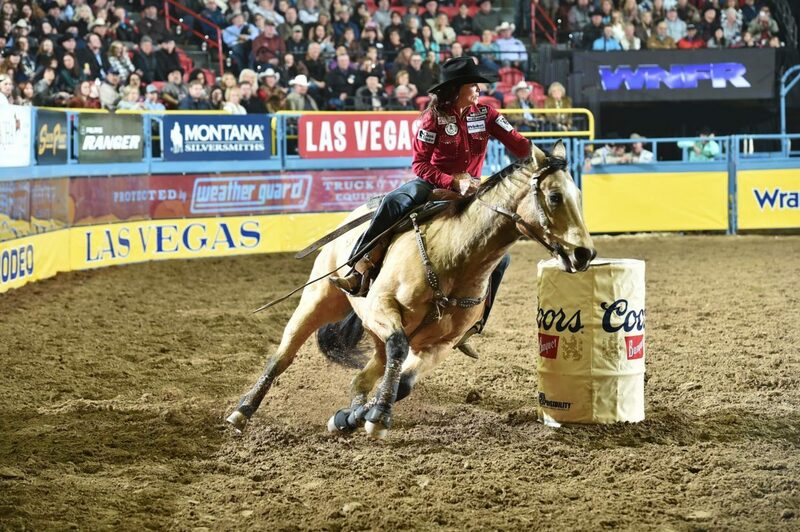 The ERA, whose shareholders included such big Professional Rodeo Cowboys Association names as Mote, Kaycee Feild, Trevor Brazile, Tuf Cooper, and others, started to lose members last summer, as cowboys jumped ship to compete at PRCA rodeos. By the end of last year, it was reported that 43 ERA members had turned in their shares and purchased their PRCA memberships, including world champion saddle bronc rider Zeke Thurston and all-around champion Junior Nogueira. 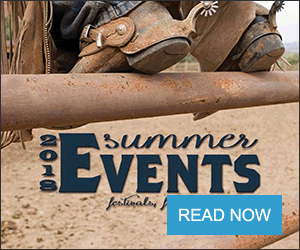 The news isn't surprising, as the ERA canceled its final three rodeos last year – St. Louis, Atlanta and New Orleans, and cut their finals from five to three performances. 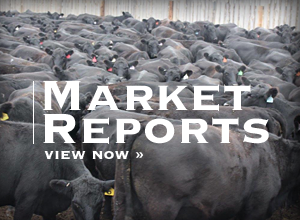 Stock contractor Sparky Dreesen, who provides bucking horses and bulls to PRCA events and did so for some ERA rodeos last year, said the ERA wasn't a bad idea in itself but getting it off the ground would take a lot of money. "It was a good concept, but I don't know if they'll ever get anybody who has enough money to get the fans educated, to know the difference (between ERA rodeos and PRCA rodeos)," said Dreesen who owns J Bar J Rodeo Co. in Circle, Mont. The lawsuit between the two organizations didn't help, he said. "It turned into a fight between the PRCA and the ERA, and if it wouldn't have happened that way, it might have had a different outcome." Almost all of the ERA rodeos were new events put on by the ERA board, instead of being hosted by a local community organization, which is how most PRCA rodeos are produced, and that was a downfall for the ERA, Dreesen said. "You look at what those (volunteer) committees do. Most of the time, the places we go, the committee is all volunteer. And how do you duplicate the passion a volunteer has? You just can't duplicate that in a paid position. I think that's a piece that everybody, myself included, we all take for granted." Tyler Corrington, a saddle bronc rider from Hastings, Minn., competed in ERA rodeos but was not a shareholder. He thinks the ERA did some good for rodeo in general. "Change always spices things up, and there's nothing wrong with spicing things up. (Rodeo) has been the same forever and maybe some good will come from" the ERA, he said. 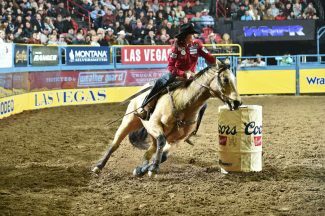 Corrington, a three-time Wrangler National Finals Rodeo qualifier, competed at the ERA finals last fall. Competition between the two rodeo associations was a good thing, Dreesen says. "The ERA did make the PRCA a better organization. It made us all look at, hey, we can maybe do some things different, and that's not all bad. It's like anything. Change isn't always good, but if it's for the right reason, it's good." Corrington says doing something differently goes along with cowboy history, and the ERA members who have returned to the PRCA shouldn't be treated negatively. "They stepped out to start something new that didn't work out. It's just like the Turtles (the group of cowboys who formed the first pro rodeo association called the Cowboys Turtle Association in 1936) did. It's like somebody made a bad investment that they believed in, and it didn't work. They have to go back to work." Calls and messages to the ERA publicity personnel were not immediately returned.